Could it be that Zionist-caricature Alan Dershowitz has resorted to comedy as he desperately tries to win his battle against me and my book? What else could explain this intellectually retarded Zionist mouthpiece’s repetition of the same old lies? A few years ago Norman Finkelstein established that Dershowitz is a plagiarist, but now Dershowitz extends this infamous title - Now, he’s actually plagiarising his own phantasmic fibs! Just a week before Hanukah, fancying himself as a bit of a music critic, Dershowitz described me as an ‘obscure saxophonist’. This was amusing enough, but yesterday Dershowitz elaborated on his notion of ‘obscurity’. In an embarrassingly unimaginative and vindictive article he called Chicago University Professor of Philosophy Brian Leiter a “relatively obscure professor of jurisprudence”. For a native English speaker (and a Harvard Professor) Dershowitz sure has a limited English vocabulary. Professor Leiter’s crime was obvious enough: he stood up for freedom of expression and open debate. He defended Professor John Mearsheimer who has endorsed ‘The Wandering Who’ and refused to bow to vile and relentless Zionist pressure to withdraw his praise for the book. 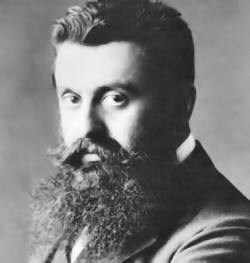 It was a few years ago that I grasped that Zionism was just one manifestation of Jewish political power in the West. But at the time, hardly anyone was either brave or stupid enough to tackle the topic. In spite of Israel defining itself as the ‘Jewish State’, despite the fact that the warplanes that dropped their bombs on Palestinian civilians were covered in Jewish symbols, still no one was willing to openly ask exactly what Jewishness was all about or what it stood for – and those few who did dare to raise the question were subject to total abuse until they took cover or just faded away. It’s also been clear for quite a while that many Palestinian solidarity activists, intellectuals and academics have been begging for recognition from mainstream Western institutions. For obvious reasons, many of us have been fearful of open confrontation with exponents of Zionist power, whether mainstream Zionist media organisations or even those AZZ (Anti Zionist Zionists) who have managed to lodge themselves so comfortably within our ranks. But recently things have changed and the popularity of my book ‘The Wandering Who’ (TWW) is just one example of that clear shift in consciousness. Somehow, we have lost our fear, somehow we have found the courage to say what we know to be the truth. Clutching a copy of Gilad Atzmon’s The Wandering Who, Professor Alan Dershowitz recently did an interview with the abundantly-respected Fox News in which he referred to the book’s author as “some obscure saxophonist from England who nobody takes particularly seriously.” In fact, not once but twice during the interview we see a visibly upset Dershowitz classifying Atzmon as an “obscure saxophonist” while attacking two American professors who gave favorable comments about his book. 2x 1 hour interview. We discussed The Wandering Who, we spoke about Jewish Identity, Israeli Lobby, Zionism anti Zionism. I love those interviews with Rinaldo. 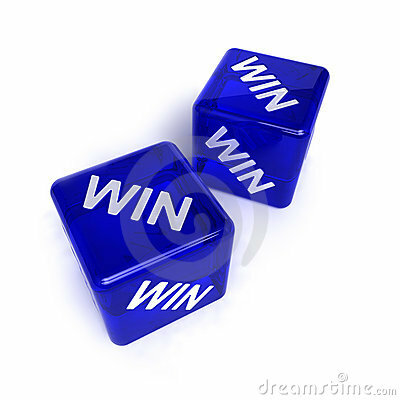 The man is extremely clever and very knowledgeable about the conflict. He then takes his time and produces pretty amazing clips. We spoke about the Palestinian UN bid, Jewish Diaspora vs. Israel, TWW, Jeffrey Goldberg Vs John Mearsheimer and more..
Introduction by Gilad Atzmon: The Wandering Who made it to Israel. Three days ago, Yediot Aharonot, the largest Israeli paper published a three pages article about The Wandering Who and myself. And as one may imagine, the patriotic Israeli media giant wasn’t very happy about the book, or my views. But Yediot was at least brave enough to include an interview with me in Hebrew. In the interview I said many things that wouldn’t see daylight on any of our Western Zionised papers. The Zionist paper allowed me to say all those things that our Jewish anti Zionists (AKA AZZ Anti Zionist Zionists) insist to shove under the carpet. For instance, I compared Israel with Nazi Germany -- I even told Israelis that from some perspectives, Israel is actually worse than Nazi Germany. I told Israelis that an Israeli attack on Iran would lead to a shift in the vision of Jewish past and the Holocaust in particular. I believe that repeating these ideas in Israel in Hebrew in the current climate is my ethical duty. I told Israelis that the holocaust must be opened to historical scrutiny. Would the Guardian or the New York Times allow me to say it? Certainly not, or let us say, not yet. Ynet, The Israeli patriotic ultra Zionist paper admitted that the book is a best seller and that it is praised by some of the most influential and distinguished academics around. Seemingly, our so called Jewish ‘anti’ Zionists are way behind such reasoned debate. They still pray for the book to evaporate. Needless to say that the Israeli article provoked some Israelis to share with me their most violent fantasies - but interestingly enough -many more Israelis contacted me to thank me for telling the truth; and some even sent me very interesting documents which I will certainly use in the near future. As I mentioned once before, ‘The People Of the Book’ is not the appropriate description of the contemporary political Jew. ‘The People Of the Cut & Paste’ is much more suitable. Yaniv Halily, the paper’s correspondent in London didn’t actually read the book: instead he copied quotes from discredited Zionist mouthpiece, Alan Dershowitz, who also didn’t read the book but copied from others. And as we all know, Dershowitz is notorious for being a plagiarist. So in fact, part of the Yediot’s article is an embarrassing chain of Zio-centric plagiarists drivel. Seemingly, none of the plagiarists read my original work. They are clearly driven by a phantasmic trauma. Interestingly enough, The Wandering Who describes this very trauma in details. I already addressed Dershowitz’ clumsy drivel here. Since Ynet, copied and pasted Dershowitz’ misquotes. There is no reason to deal with the matter once again. As far as I am aware, the article didn’t make it to the Hebrew online Ynet (it is hidden in the Hebrew achieve), but yesterday it found its way to the English website Ynetnews. I guess that someone in Israel must have realised that it may be too dangerous to let Israelis grasp the truth. The article in English contains some gross mistranslations and misquotes. It seems as if Yediot's writer failed to translate 'self hatred' into Hebrew. He has managed to come up with with some very creative ideas, such as ‘a Jew who hates Judaism’, and ‘Jew Hater.’ I will point at these mistranslations in the body of the article. Rabid Zionist Alan Dershowitz is devastated by the success of ‘The Wandering Who’. He just cannot accept that professors and academics endorse the book “as ‘brilliant,’ ‘fascinating,’ ‘absorbing,’ and ‘moving’,” In his latest article he again misses an opportunity to debate the book, its message and its meaning. He prefers instead to indulge in the only things for which he possesses any talent at all - lying and bullying. But why, I wonder, does Dershowitz insist on reducing a potentially ethical, intellectual and ideological debate to just one more Zionist exercise in mud-slinging? I can think of only two possible answers; First, Dershowitz lacks the necessary intellect to engage in a debate and second, that Zionism and Israel cannot be defended - ethically, morally or intellectually. But there is also an amusing aspect to Dershowitz’s Zio-centric tantrum. For some strange reason, he believes that it’s down to him, an ultra Zionist, to decide who his kosher enough to lead the Palestinian solidarity discourse. “There is growing concern that some of Israel’s most vocal detractors are crossing a red line between acceptable criticism of Israel and legitimizing anti-Semitism,” he pontificates without really being able to point at any anti Semitism in mine or anyone else’s work. But is it down to Dershowitz or any other Zionist to define the ‘red lines’ of the solidarity discourse? What a shocker for this grandson of a former prominent commander in the right-wing Irgun terror organization, raised on the notion of Jewish righteousness and Arab duplicity, to finally awaken to the truth about his country. “At the time of the Oslo Accords in 1993, I just couldn’t take it anymore. I saw that Israeli ‘peacemaking’ was nothing but spin. Its purpose ... was to further secure the existence of the Jewish State at the expense of the Palestinians. For most Israelis, shalom doesn’t mean ‘peace’, it means security, and for Jews only.” Moving to London, he began work on a Master’s Degree in philosophy at the University of Essex, began his career as a jazz musician, and began digging deeply into modern Israel’s character for answers to his questions about its origins, its inhuman treatment of Palestine’s Arabs, and its contemptuous regard for international law. Central to Atzmon’s discourse is a discussion of what the word “Jew” stands for, a question that seems to him to be “taboo within Western discourse”. It is clear why. Begin to ask the question, and you are likely to get yourself accused of being an anti-Semite. And this is exactly what has happened to Atzmon. Though he presents a harsh criticism of Jewish politics and identity, there is not “a single reference to Jews as ethnicity or race” anywhere in the book. “In my writing, I differentiate between Jews (the people), Judaism (the religion) and Jewish-ness (The ideology).” If you’re “searching for blood or race-related interpretation of Zionism (you) will have to look for it in someone else’s book.” It certainly is not present here. Introduction by Gilad Atzmon: The following review makes me especially cheerful. It was written by Nahida Izzat, a Palestinian writer and a poet whom I immensely admire. Nahida produces here an Exilic Palestinian and Muslim reading of my book. I am very flattered by this review. 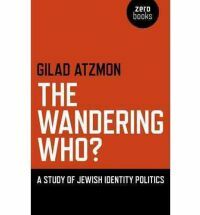 In his new book “The wondering Who”, Gilad Atzmon reflects on his transforming journey from an IDF “Israeli”, a racist tribalist, self-ghettoized Zionist, with exclusionist mentality, who was greatly influenced as a child by his “veteran Zionist terrorist” grandfather, into simply a Universalist and Humanist. A courageous and enthralling journey that began in the most unexpected places, in one of the suburbs of occupied Jerusalem, Al Quds, and by no other tool than a musical instrument, a saxophone! A journey that he didn’t choose initially, rather, he stumbled upon. He came to discover that in the world out there, where gentile live, raw talents, daring intelligence and breathtaking beauty not only exist but also thrive. This realization took him by surprise; it contradicted his basic supposition of his own and his people’s superiority as Jews. This revelation pressed on him by necessity to take a good look in the mirror, the inner mirror of the self. Gilad describes how he fell in love and became fascinated with Afro-American music; it was that love that opened the door of escape for him and enabled him to flee the narrowness of the Ghetto of tribalism to the wide world of humanism. As he discovered the brilliance and the captivating beauty of the music played not by Jews, but by gentiles, moreover, most of those musicians were actually black, Atzmon explains: “… it was kind of a revelation. In my world, it was only Jews who were associated with anything good”. Talking about: TWW, The Israeli Lobby, Norway massacre, Israel Shahak, Shlomo Sand, John Measheimer & Stephen Walt, History & Temporality, Jeffrey Goldberg, Self Hatred and beyond..
Gilad Atzmon - The Wandering Who? Introduction by Gilad Atzmon: The following is a very interesting review by Heidi Vogel. Heidi is a great writer and an incredible musician. It is particularly interesting for me to be reviewed by another artist who is also sensitive to identity politics complexities and subject to self reflection. Pt 6-What is so unique about anti Semitism? Left and Judaism, the role of the Internet, Jewish ideology as a form of supremacy. 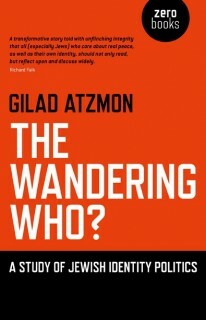 Introduction by Gilad Atzmon: Reviews for The Wandering Who keep coming. So far I didn’t see a single bad review. We have seen Zionists and Jewish ‘anti’ Zionists A.K.A AZZ (Anti Zionist Zionists) desperate attempts to ban the book, but, they’ve yet to offer any intelligible reasoning to do so. It is reassuring to see so many different people enjoying the book and reviewing it so positively. The following review is written by Gaza Journalist Sameh Habeeb. It is, indeed, depressing to find out that Habeeb’s experience with the AZZ wasn’t particularly easy. It seems as if Habeeb knows what The Wandering Who is all about. He realises very well the political culture that is criticised by the book. “As a Palestinian”, says Habeeb, “I believe (that) this book adds more weight to the Palestine solidarity movement.” I am left wondering who should I listen to: Sameh Habeeb, the Palestinian from Gaza who read my book, or should I better follow the orders of some four dysfunctional Jewish ‘anti’ Zionists who insist to stop my book in the name of the Palestinians? I guess that you know the answer. Paris, (Pal Telegraph) - Salman Rushdi caused tremendous chaos over his allegations against Islam. His book, “Satanic Verses,” which relied on his own personal harmed liberties in the West, caused damage in Great Britain. 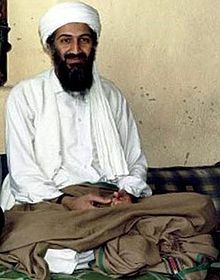 Rushdi was praised, won many prizes, and became an icon in the West for his open and loud criticism of Islam. He was even encouraged by the British Government, who still continues to protect him. Yet his work nearly ignited a civil war between the Muslim community in Britain and the police. With Gilad Atzmon, it is totally different. Whenever this man tries to speak out on Israel or criticize the Jewish identity, he is accused of being an anti-Semite or a holocaust denier. Unlike Rushdie, he is not protected by British Government. In spite of many people saying he is the one of the best jazz players in the world, he can’t enter the world of celebrities. Is there a particular reasons? Indeed! His controversial and critical views of Israel are the key reasons. In his many daily articles, Atzmon tries to clarify the facts about the nature of Israel. For this, he is constantly under attack. His new book has recently drew the ire of the mainstream once more. Karl Sabbagh explores the significance of The Wandering Who from political perspective and identity politics.